Usage: For color widely used in Composites industries. 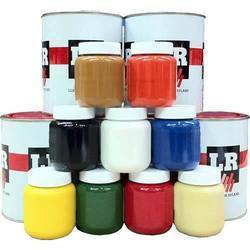 With a firm commitment to quality, our organization is involved in offering a wide ambit of Polyester Resin Pigment. 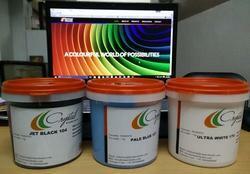 We are one of the trusted companies of Pigment Paste. We put forth Polyester Pigment, which are made using dispersing dry pigment powders in non-striated polyester resin. It finds application for coloring of fiberglass reinforced plastics (FRP). Polyester Pigment we supply is appreciated for light fastness, outdoor durability, UV resistance, heat resistance, chemical resistance, electrical properties and toxicity. Backed by the team of experts professionals, we are engaged in offering a wide range of Epoxy Pigment Paste. With our years of experience & in depth knowledge in this field, we are engaged in offering a quality-assured array of Polyester Pigments. Crystic Resins (india) Pvt. Ltd.
Our POLYESTER PIGMENTS are available in all shades and colours.